Is Rhinoplasty Different for Men & Women? Generally speaking, the basic surgical technique employed for rhinoplasty will not differ between women and men. For example, a closed (or scarless) rhinoplasty for a male patient will be performed the same way as it would be for a female patient – using tiny incisions made inside the nose. The same is true for open rhinoplasty, which involves a small incision hidden on the undersurface of the nose. That said, male and female rhinoplasties do typically differ in regard to the general aesthetic goals and characteristics of each gender. 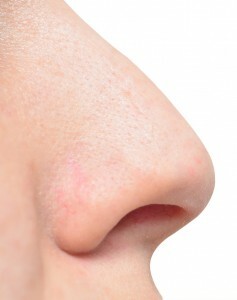 The majority of male noses have a wider, more distinguished bridge in comparison to female noses. Additionally, the tip of most male noses is usually less elevated, often creating an approximate angle of 90 to 95 degrees between the nose and upper lip. In contrast, the nasal tip for many females is usually slightly more elevated, and the bridge is often a bit narrower and less prominent. Combined with relatively thinner skin, these qualities of the female nose generally lead to sharper, more delicate nasal features. Ultimately, rhinoplasty is an individually tailored surgery, and despite what characteristics are considered “normal” for each gender, the procedure should be personally designed to meet your specific needs and desires. If you have additional questions about rhinoplasty, or if you would like to schedule a consultation at our office, please contact our practice today.